Last week I read an article on Geegeez website that blew my socks off. So today I want to encourage you to read it. The article is Matt Bisogno's review of the London Racing Club get together, which might sound like a dull report on some trainer or other being interviewed. But it also includes some excellent insights that were shared by this months interviewees, who were the Hill family (Lawney et al…). 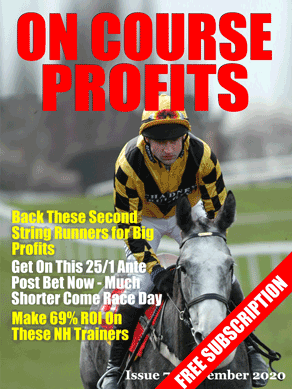 It includes the bones of a system that has seen 4 winners from 5 so far this year. I know it's only January 26th, but even so there is some potential for a decent system based on Paul Nichols horses that wear headgear for the first time. I've added this to my notebook for future research. There's also a discussion about the use of tongue ties which could also lead to a profitable system with some further research. Go and have a read and later in the week we'll see if we can boil this idea down into a system that we can use for the rest of the season.